You’ll look fantastic in this casual chic sweater dress & Love jacket! Shop the Warm Collection Now! Describing designs in terms of seasons doesn’t quite make sense anymore does it? It may be December and cold but then we travel to a warm climate. With changes in climate, one may need to wear something warm one day and something breezy the next. 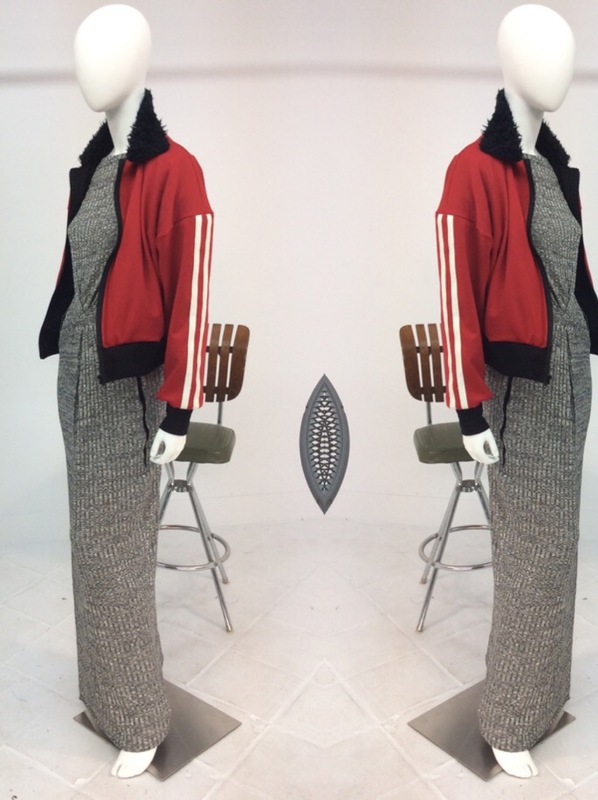 Hence, this newest Mona Lucero collections will be tagged and categorized as both Fall/Autumn and Warm… Above, see the long grey sweater dress called Alek and the red “V” stretchy jacket with faux fur collar.